In this article we will describe how to create vertical navigation menu in Magento admin panel. This will be helpful if you want to improve usability of admin panel by taking advantage of modern wide monitors. Or if you want to give a fresh look to custom Magento admin theme. We will create simple module called Verticalnav that will consist of module and config xml files and observer that will set admin theme to new custom theme called verticalnav. After uploading this new files to Magento and logging into admin panel you will have new custom admin theme there. Actually it will not differ from default one. Well we don’t added any design updates there yet. It is time to change it now. Here goes our css file. In it we overriding css styles of horizontal navigation dropdown menu to turn it into vertical accordion navigation sidebar. It will have fixed width of 300 pixels. Same offset added to middle and footer areas to prepare space for our navigation. Later in this file you can add more styles to make this navigation even more beautiful by adding icons, hover effects etc. 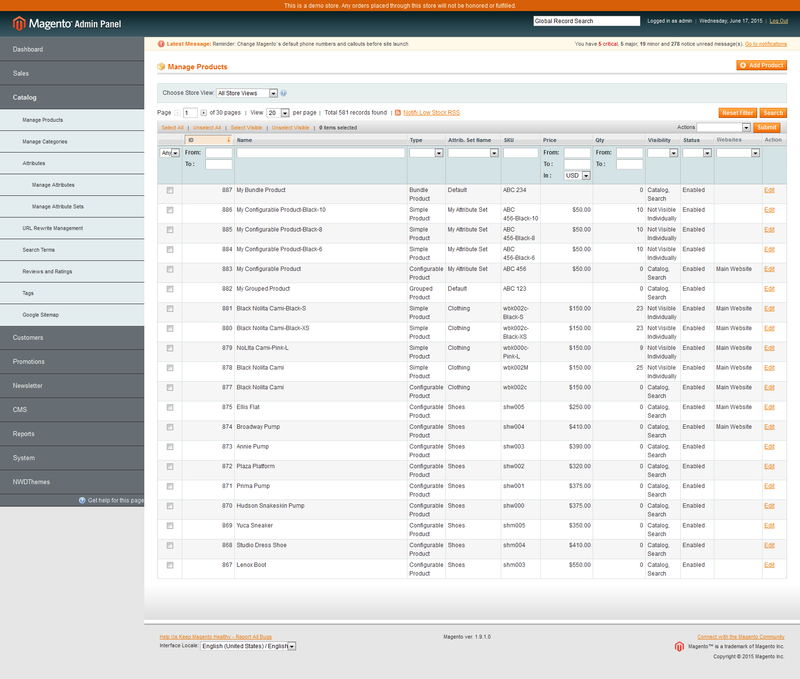 That’s it, after uploading module files and refreshing your Magento admin panel you will see vertical navigation menu. It will look like this. Thank you for reading. Hope this article will be helpful to you. Sources of module created in this tutorial are available here. 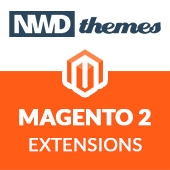 Also you may like to check our Wunderadmin Magento Admin Theme. Vertical navigation menu sidebar was created there in similar way. 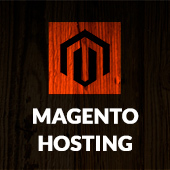 Magento, PHP, Themes, Tips & Tricks admin, admin theme, magento, Tutorial, wunderadmin. permalink. Thank you for the tutorial, if possible please include snapshot of the final outcome. In that way it will be more useful for the readers. I appreciate your efforts. Thank you so much. Thank you for checking out this tutorial. Or you suggest to include live demo of result as well?